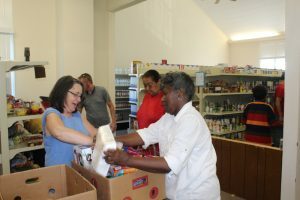 It is the goal of Rockingham Rescue Mission to provide a service to Rockingham County that is lacking, yet is desperately needed. We are seeking to empower those who are willing to commit to taking the necessary steps for permanent change in their lives spiritually, mentally and physically. Our approach as a Faith-Based Ministry is to see the lives of individuals and families be renovated through repentance, discipleship, education, assistance, and opportunity (Repentance – to change the way one thinks; Discipleship – to change the way one believes; Education – to enhance knowledge; Assistance – to provide the necessary tools needed; Opportunity – to be granted a chance to succeed). The Rockingham Rescue Mission is based on the life of Christ that models to live life differently than what our clients have been taught by modern culture and differently than how they have been living. Our approach to ministry is very practical and relational where we know our clients on a personal level and assist them in every step of the process. We have chosen to model our ministry after the Durham Rescue Mission and we are currently being coached and mentored by them. Our goal is to duplicate their successful system here in Rockingham County with various aspects of originality to fit the needs and demographics that may differ. 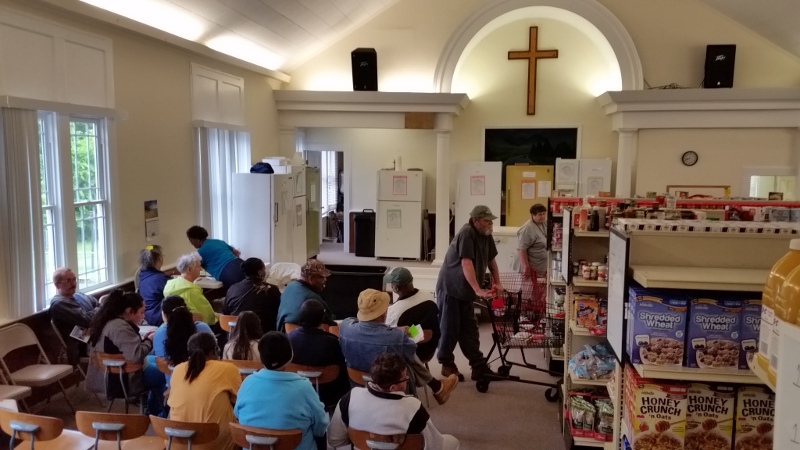 Rockingham Rescue Mission is currently thriving in the Rockingham County, investing in 700 families monthly. We have served 8,000 food boxes and over 5,000 hot meals over the past 12 months; however, the demands are expanding daily because of a struggling economy, growing substance abuse, and the 5th largest percentage of homelessness in the state of North Carolina. 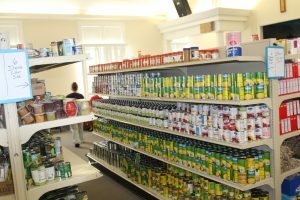 According to Second Harvest Food Bank, we are already the largest distributor of food assistance in the county. Through food distribution, our soup kitchen, and a medical clinic we are discovering our target market and are developing relationships with them. In addition to the Food Assistance Programs and our Medical Clinic we are seeking to develop various other programs: Christian discipleship, temporary housing, drug and alcohol rehabilitation, social (Soft) skills, computer skills, work ethics, personal hygiene, personal money management, personal accountability, etc. We are currently collaborating with other area programs in order to provide for the needs of clients: Moses Cone Health, Rockingham County Healthcare Alliance, Rockingham County Schools, Goodwill Industries, Habitat for Humanity, Rockingham County Help for the Homeless, The Homeless Coalition of Rockingham County, American Red Cross, Second Harvest Food Bank, Fellowship of Christin Athletes, and many area churches. 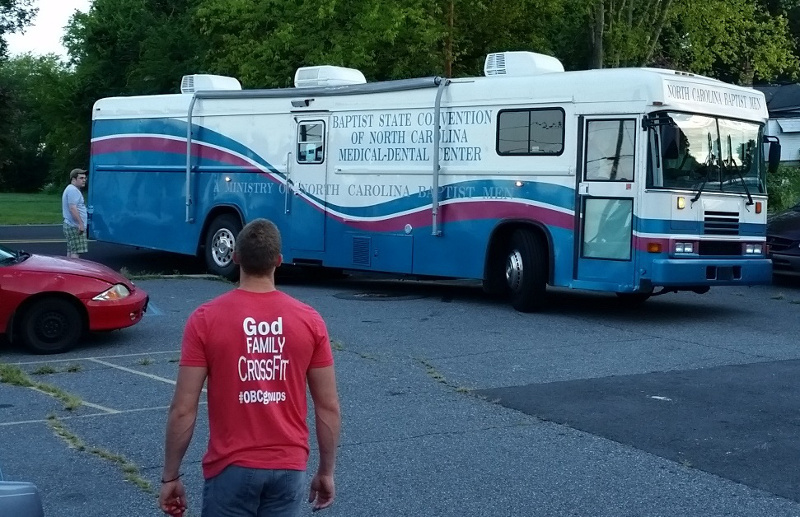 Currently, our only location is in Eden, NC. However, plans are in the works to open another location in Reidsville in the old Lawsonville Street Elementary School. There, we will have 6 classrooms, a fully operational cafeteria and kitchen, bathrooms, nurses room, office and janitor’s closet. Also, when not in use for Toys for Tots, we will have access to the gymnasium will sloped floor for viewing shows on the full size stage. However, the building will require a lot of work. Most of that work will be in the form of cleaning, painting and landscaping which will be done by an army of volunteers we have waiting for go ahead. The boiler is going to require roughly $15,000 to be fixed to operate. As cold as it already is, we will not be able to open our doors without it. Using costs from the previous 2 years, the gas, water and electric utilities will run on average of $1,000 per month. With this much space, we will be able to increase services offered to our clients. We are so excited to be showing the love of Jesus Christ through many different avenues to the people of Rockingham County.